This basic, foundational seminar will provide you with what you need to know, and how you need to think before using any force on another human being, as well as what you will need to be able to articulate should you ever find yourself in that unfortunate position. The knowledge that you will gain from this seminar will form a foundation in making responsible, ethical, well-thought out, and safer Use of Force decisions – More Quickly! What elements should a practical system of defense incorporate? What are some of the things people do to keep themselves safe when a fight is inevitable? What are the details of NH firearms law? What is “Stand Your Ground” law? How to interact with law enforcement when legally carrying a firearm. Terry Choate is a full-time Lt. with the Jaffrey Police Department where he has served for the past 9 years. Prior to a career change to law enforcement, Lt Choate served in Executive level positions in several large (Fortune 500) corporations. 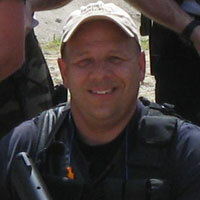 He is also the Team Commander of the Monadnock Regional Special Response Team. 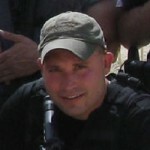 Joe Hileman is a full-time Detective with the Jaffrey Police Department which he has served for the past 9 years. He is the Assistant Team Commander of the Monadnock Regional Special Response Team.